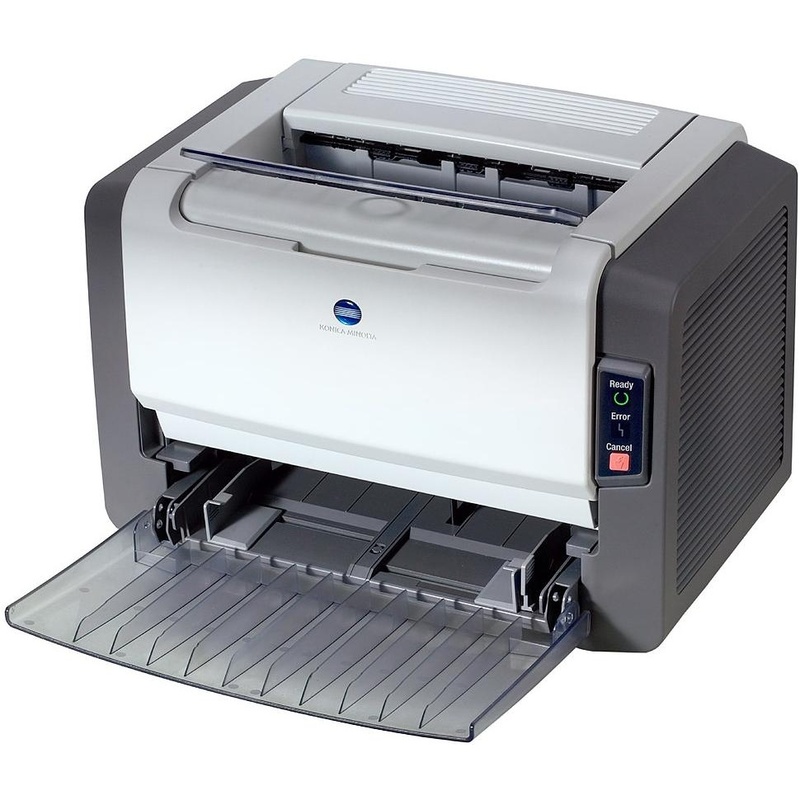 The Konica-Minolta PagePro 1380MF, which is also referred to as the 1380, is a monochrome laser device that's intended to support small offices with print, scan and copy needs. 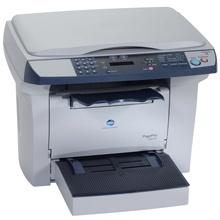 Due to slow maximum speeds of only 21 pages per minute, the 1380MF is best used for offices with low volumes. 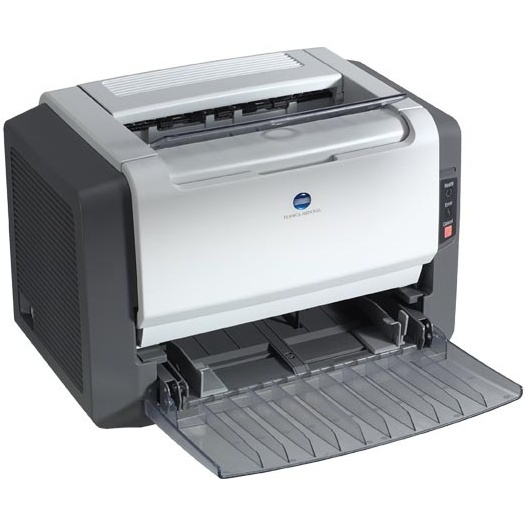 Benefiting most from features like affordable PagePro 1380MF printer toner and an easy-to-use control panel, this machine's cost-efficient and straightforward design is worth a look for small offices with occasional daily jobs. The device has a size of 19x18x14 inches that may be too bulky to share a desktop with a user's computer, but it is still compact enough to fit on its own desktop surface. Dominating the front of the unit is its versatile control panel, which includes a 2-line LCD that displays status messages, menus and settings options. The panel also has nine LEDs that will alert users when the device is in copy or scan mode and when the Konica-Minolta 1380MF toner has expired. Additional buttons on the control panel will enable users to quickly perform tasks such as cancelling a job, selecting a copy mode and reducing or enlarging a copy. The unit provides a single input tray that can handle a maximum capacity of 250 pages, as well as a single-sheet bypass feeder for specialty paper sizes unable to fit in the tray. While the flatbed scanner can be used to copy or scan a single sheet, the device also comes with a 50-sheet input tray to handle larger jobs. 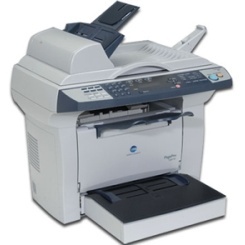 The lack of an ethernet interface keeps the 1380MF from supporting network scanning and printing. Instead, the rear USB port can be used to connect a user's computer straight to the unit. Although users will be able to scan full-colored documents to their computer, they can only print monochrome documents with a satisfactory resolution of 600x600 dpi using PagePro 1380MF toner. 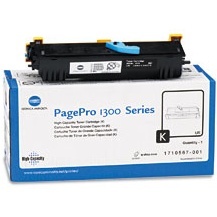 The machine uses a single black Konica-Minolta 1380MF toner cartridge that has a standard yield of 3,000 pages. Optional high-capacity Konica-Minolta 1380MF toner cartridges can last up to 6,000 pages and help users boost their workflow for a low cost. The 1380MF offers neither quick speeds nor versatile connection options like ethernet and Wi-Fi, which may detract some of its appeal for busy small offices. However, an easy-to-use control panel, the ability to upgrade to high-capacity toners, and a solid monochrome output may entice low-volume users to give it a try.